Why should you choose Crucial? Whether you need memory for a vast network of servers at your multinational corporation or for the one desktop that you use to run your home business, your upgrade has to perform correctly from the moment it's installed. After all, you depend on your computer system to stay in business. And every second your system's down costs you money. At Crucial, we understand that it's critical that you get the parts that will work — and last — in your systems. That's why we sell the same top-quality memory that the world's leading computer makers install in their systems. 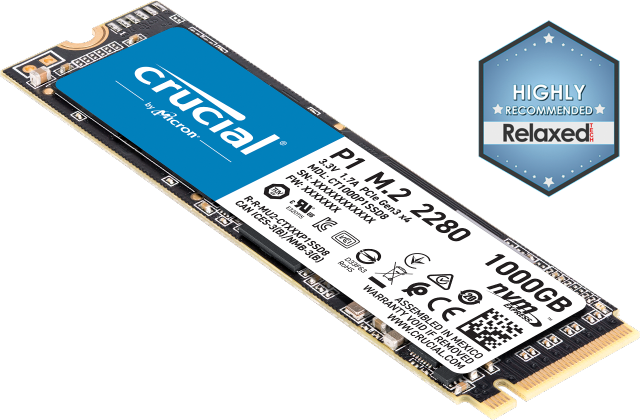 Crucial is a division of Micron, one of the world's largest memory manufacturers and a supplier to companies like IBM, Apple, HP, Gateway, and many others. In fact, there's a pretty good chance that we made the memory you have in your system right now. 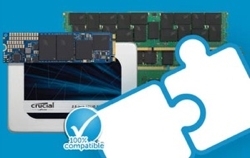 Because of our close relationships with the computer makers, we can guarantee that the memory you buy from us (including all server memory) will be compatible with your system, or we'll give you your money back. With a Memory Advisor tool that contains over 250,000 upgrades for more than 40,000 systems, we've probably got exactly what you need. In addition, we stand behind our RAM upgrades with a limited lifetime warranty and free technical support. We also invite you to create an account. Once you create an account, your ordering information will be stored in a password-protected account on our secure server. When you log in, ordering will be even faster than before, and you'll be able to view your account history and easily track current orders. Plus, you can choose to receive our free newsletter with special offers and news. If you have any questions, please feel free to contact one of our helpful enterprise team members.